Sonargraph lists all problems found in the Issue view. 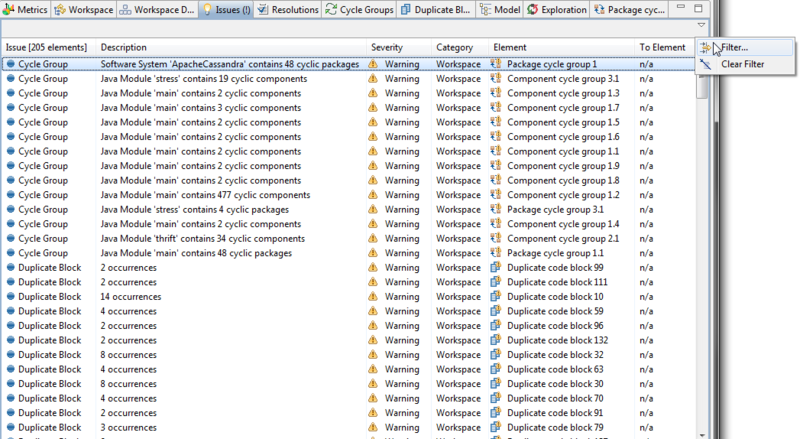 At this stage the view lists issues of type Cycle Group, Duplicate Block and Threshold Violation. If some issues types should be filtered this can be achieved using the filter option as shown in the screenshot. Check Section 8.2, “ Examining Issues ” for more details about filtering.